Smell Good Powder Room | Cook, Party, Enjoy! 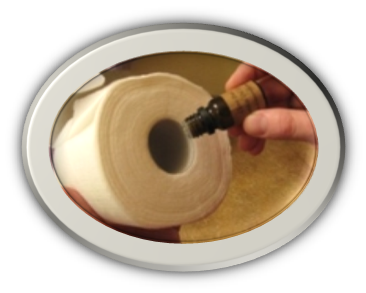 One drop of your favorite perfume or essential oil in the center of a roll of toilet paper will scent the room for days! Great trick when company is coming or just for those days you want to be surrounded by wonderful aromas. Works well on a light bulb too. When light bulb is on and gets hot it heats up the oil thus adding fragrance to the room.